Why do I need a surety bond for my Arizona Notary Public commission? A surety bond is a three-way agreement between a Principal (the Notary Public), an Obligee (Arizona Secretary of State), and a surety company (the company financially backing the bond). The bond does not function like an insurance policy for the Principal; instead, it protects the Obligee and the Arizona public from any financial obligations that may arise from misconduct on behalf of the Notary Public. This bond is required for anyone applying or renewing an Arizona Notary Public commission, and must be filed with the Nevada Secretary of State before the commission will be approved. 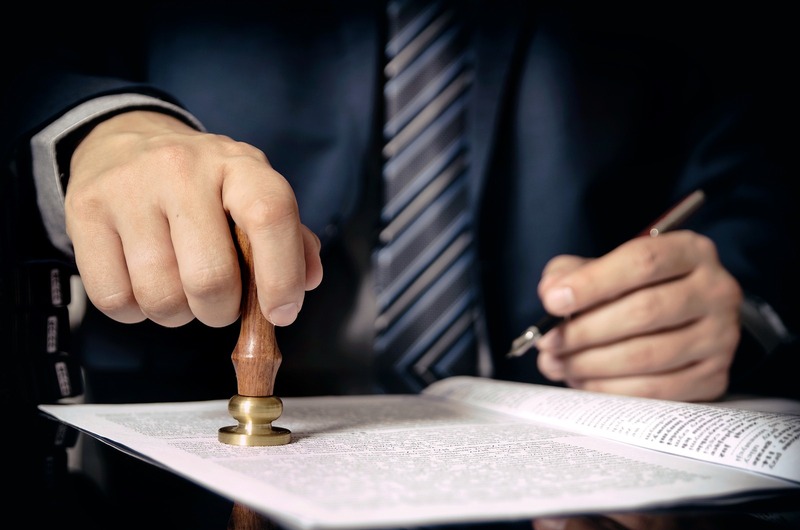 This $5,000 bond is a guarantee on behalf of the Principal that they fully understand and agree to comply with all regulations pertaining to their Notary Public commission. In the event that there are any damages caused by misconduct or negligence (see Arizona Revised Statutes Title 41), the surety company will settle the payments via the bond, at which point the Principal must fully repay the surety company for all damages. It is very important that the bonded Notary Public understand and comply with the guidelines set forth for their commission. If there is a violation of the agreement, a claim will be filed against the bond. Claims against your surety bond act as a mark against your “credit” in the bond market, and may complicate future bond applications. In addition to the claim negatively impacting future applications, your surety may revoke your current bond in the event of a claim. If your bond is revoked, your Notary Public commission will be invalid until you are able to file a new bond with the Secretary of State. This bond protects the public from any damages caused by the misconduct or negligence of an Arizona Notary Public. Specifically, it ensures the notary complies with Title 41. Any individual applying for a Notary Public commission in the state of Arizona is required to file this bond, along with an oath of office, with the Arizona Secretary of State before their commission is approved. This $5,000 bond costs $100 ($50 premium + $50 fee), and includes a complimentary $5,000 Notary Errors & Omissions bond. To apply for your Arizona Notary Public Bond, complete and submit the application below. You may also download a .pdf application, and email it to apps@southcoastsurety.com, or fax it to (949)361-9926. If you choose to email or fax your application, please download and complete a payment form and attach it to your documents.